Gotta hand it to Bloomberg for this riveting one-sentence article written by two people. 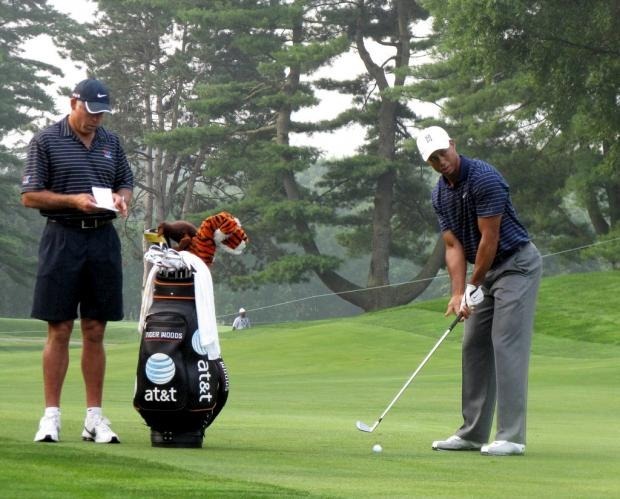 I don’t recall seeing Woods in any TV or print commercials for AT&T but he definitely had a few big, fat AT&T logos on his golf bag. The company still has Luke Wilson and the iPhone, so sleep easy, friends. It’ll be most interesting to see what EA Sports does this year. The company hasn’t announced any plans to drop its sponsorship but with Woods taking an “indefinite” leave of absence from professional golf, a game called Tiger Woods PGA Tour 11 might sound a bit silly. We may see a return to the standard PGA Tour Golf moniker from the early days of the franchise.